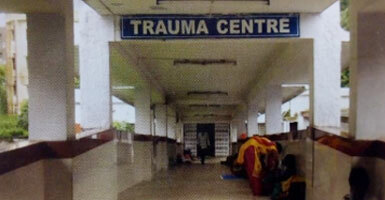 With an ever increasing incidence of Road Traffic Accidents, a need was felt for a specialised Trauma Care Centre. This need created the way for the establishment of Trauma Centre at RIMS on 3rd Dec, 2007. Headed by Dr. R.S Sharma and assisted by nurses, support staff and OT assistant, the department previously had 14 beds but now it has been devised to accommodate 100 beds, 50 emergency & 50 general including Hydraulic & Gatch Beds. It deals with cases of RTA Blood Trauma. Bullet Injury, Postoperative complication, Stab Injury & other serious cases. Too faculty will be appointed for the newly revised Trauma Centre.It will harbour its own blood bank, MRI, CT Scan, Pathology labs & ambulance facilities. The rooms will be well furnished & Air conditioned.